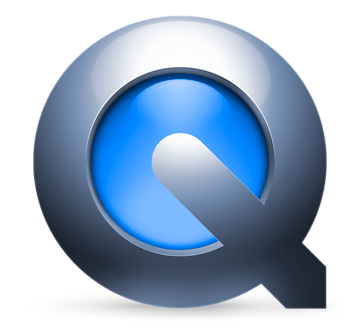 QuickTime X is the newest version of QuickTime Player for Mac which comes with the new Mac OS X 10.6 Snow Leopard. Snow Leopard introduces QuickTime X, a major leap forward that advances modern media and Internet standards. QuickTime X includes a brand-new player application, offers optimized support for modern codecs, and delivers more efficient media playback, making it ideal for any application that needs to play media content. I like QuickTime X. It has a nice clean look to it and it’s very simple and easy to use. One thing I noticed though, was the lack of preferences – there’s none. You simply cannot edit preferences for this application. That’s how simple QuickTime X really is! One should note though, when you’re upgrading Leopard to Snow Leopard, you get the option of also installing QuickTime 7, in case you’re not fully satisfied with QuickTime X. To me it seems like they’re just doing that to make sure nobody is missing anything, while they’re still working on improving QuickTime X. Remember iMovie ’08? When it first came it it missed a ton of features that were in iMovie 6 (HD). The interface in iMovie ’08 was (and still is) great, really simple and easy to use too, but the application lacked so many basic features it was hard to believe. That’s why Apple allowed owners of iMovie ’08 (iLife ’08) to download a free copy of iMovie 6 (HD) from their website. Now that iMovie ’09 is out with iLife ’09, and has been for quite some time, the iMovie 6 version is no longer available for free download, simply because iMovie ’09 comes with all the features needed for such an application. Well, I guess you’re here to find out how to make QuickTime X autoplay your movies when you open them, because that’s what I like it to do. After all, why would I double click on a movie file and not wanting to see it right away? Not very often. Here’s what to do – first you go into Terminal. If you don’t know how, just invoke Spotlight and search for terminal and launch it from there. That’s it – QuickTime X will now autoplay movies as you launch them. If you change your mind, just repeat the steps above but replace the “1” in the end with a “0”. Click here for more hidden preferences and tips & tricks for QuickTime X.
I upgread my Max OSX leopard with the Mac OSX Snow Leopard version yesterday, and I’m very satisfied with it. The new features were very interesting, plus I really like Quicktime X! The video quality is just impressive! .-= Benjamin Cip´s last blog ..How To Increase Your Blog Traffic =-. Yeah it’s hard not to be satisfied with a $25 upgrade 😀 But it is great, no doubt about it, they didn’t under deliver on anything, in my opinion. This didn’t work, QuickTime still doesn’t launch when video is double clicked in iPhoto. Any other ideas or help? You should probably try to look into assigning QuickTime X to play your movies, maybe it’s another player you have defined? .-= Klaus @ TechPatio´s last blog ..How To: More Targeted AdSense Ads & Thesis Code Example =-. Oh gosh, why do I see this post 4 years later!!! Thanks a lot. I’m heading to the terminal right away.